The Sun hot tub is the entry-level hot tub in the MyLine range from Wellis. With no frills, if you are just looking for a basic hot tub that has a full warranty and exceptional build quality, the Sun is a great choice for you. 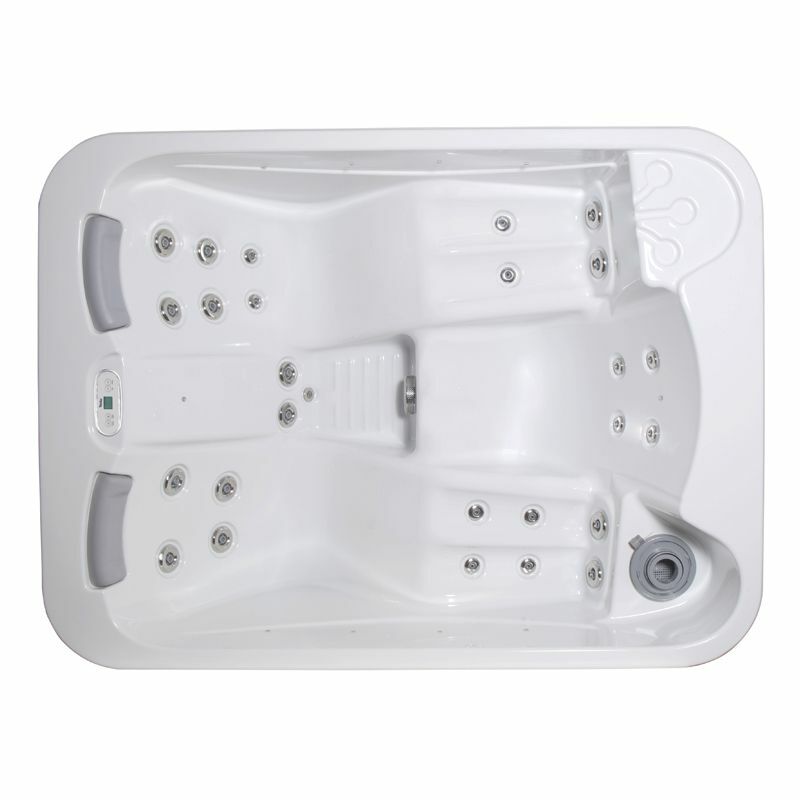 The Sun is a 3 person hot tub and has 2 loungers, a compact size and is available in winter white. With 26 jets, there are plenty of bubbles to keep you happy with the Sun hot tub from Wellis and you purchase with the knowledge of a build quality guarantee from one of the best names in European hot tubs. The Sun comes with a standard 2 KW heater and 10 led lights, a perfect price if you want all the enjoyment of a hot tub with a limited budget.